The Monastery at Monte Cassino is located at a rocky hill approx. 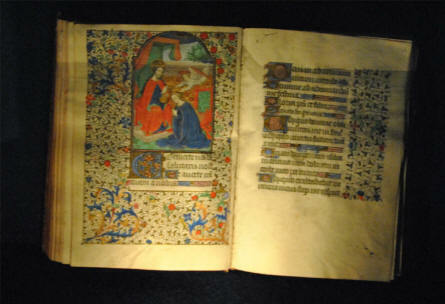 130 km. 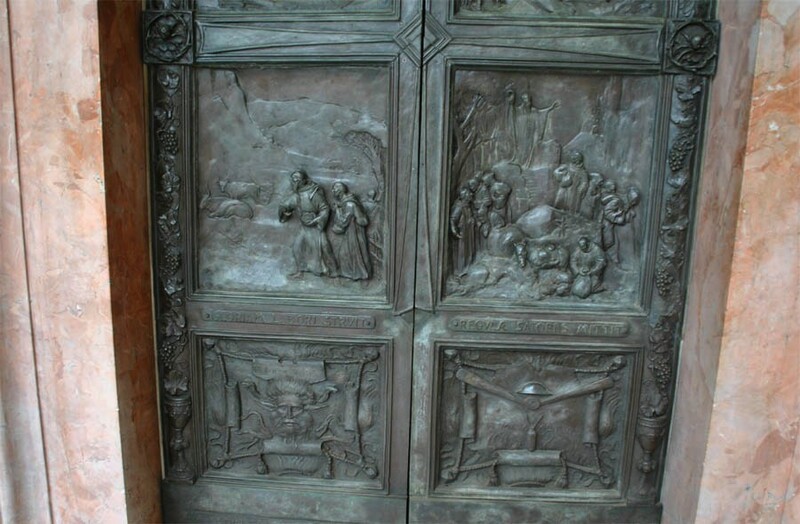 southeast of Rome. It's history goes back to approx. year 530. 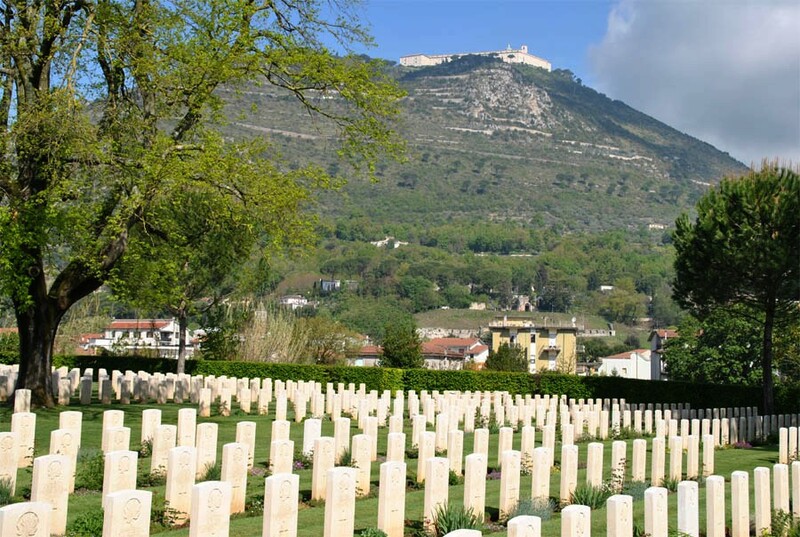 After the Allied World War II landing in southern Italy in 1943 the allied advances was stop at Monte Cassino. 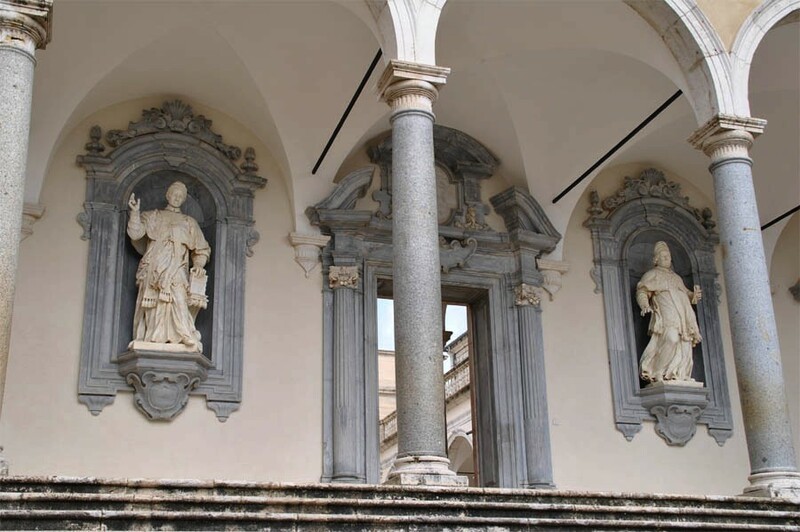 The monastery turned out to be an almost impossible stronghold to conquer, so the "Battle of Monte Cassino" took a lot of both Allied and German lives. 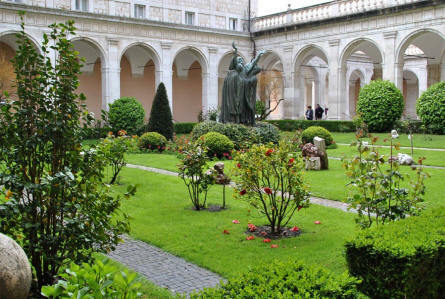 One of the small gardens inside the Monastery at Monte Cassino. 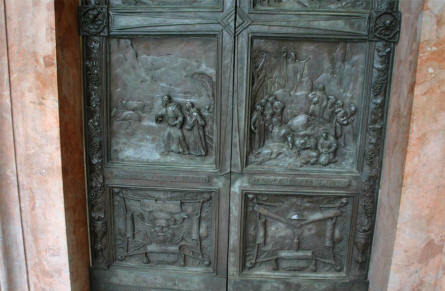 One of the doors into the church of the Monastery at Monte Cassino. One of the many vintage religious books displayed at the historic museum at the Monastery at Monte Cassino. 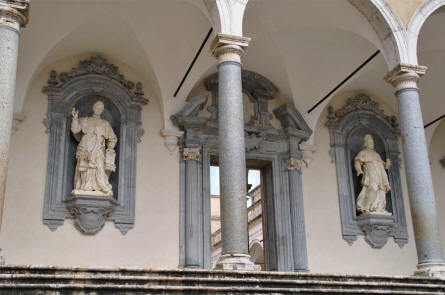 Some of the many beautiful sculptures inside the Monastery at Monte Cassino. 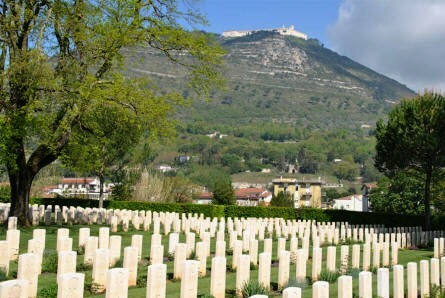 The Monastery at Monte Cassino seen from the Commonwealth War Cemetery in the town of Cassino. 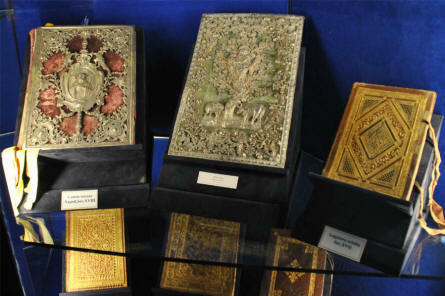 Some of the many vintage religious books displayed at the historic museum at the Monastery at Monte Cassino.